So, he’s thinking he’s back…for a third time. This May, Keanu Reeves puts on his meticulously tailored suit, scruffy beard, and shoots everyone in the head. Again. I couldn’t be more excited. 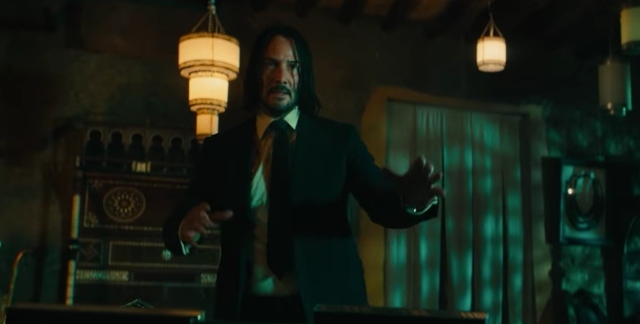 And to that end, watch the latest trailer for John Wick: Chapter 3—Parabellum. I mean, if you’re a fan of the bad-at-retiring hitman who has a soft spot for dogs, this trailer for John Wick 3 places everything you love about the franchise front and center. 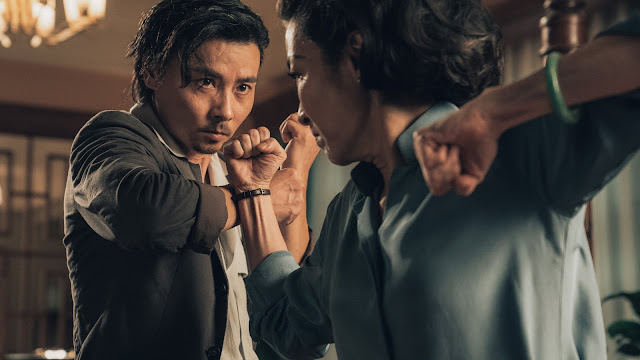 We’ve got the title character; his adorable blue nose pit bull; the weird, expansive criminal underground that exists in its own little bubble and has its own mythology; and, of course, the violence that’s at once highly stylized and grounded and raw. Chapter 3 picks up on the heels of Chapter2, which ends with John Wick being excommunicated and on the run with a hefty price on his head. In this installment, we see people come out of the woodwork to take down the kind, and probably die along the way. While we check in with some old favorites like Winston (Ian McShane), Charon (Lance Reddick), and the Bowery King (Laurence Fishburne), we also see a bunch of new faces. There’s The Director (Anjelica Huston), Sofia (Halle Berry), Zero (Mark Dacascos), and The Adjudicator (Asia Kate Dillon). We don’t, however, see Jason Mantzoukas’ Tick Tock Man, which is a bit of a bummer. But we do sneak a peek at The Raid series standouts Yayan Ruhian and Cecep Arif Rahman, which is all kinds of badass. And that’s not even all of the fresh foes John has to battle this time out. Tiger Chen, who starred in Reeves sole directorial effort, Man of Tai Chi, also joined the party. As has everyone’s favorite Game of Thrones rogue, Jerome Flynn. And more doggos. So yeah, this should be a damn fine time. John Wick: Chapter 3—Parabellum kicks in theater doors on May 17.